Florida gas prices set a new 2019-high of $2.80 per gallon, last week. The state average rose a total of 9 cents, but declined a penny over the weekend. 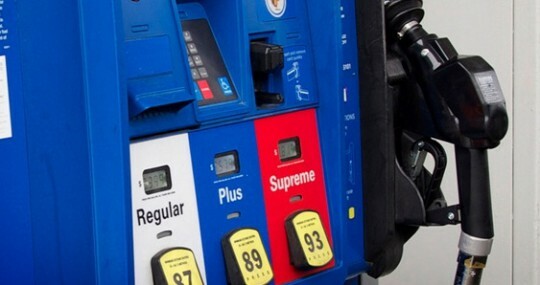 Florida drivers are now paying an average price of $2.79 per gallon at the pump. That price is 8 cents more than a week ago, nearly 20 cents more than last month, and 15 cents more than this time last year. The average price per gallon in Escambia County was $2.70 on Sunday, up a nickel from last week and up 24 cents from a month ago. So far this year, the state average has climbed a total of 68 cents per gallon. However, the 2019-high remains 12 cents below the highest daily average price in 2018.
get 2 MPG better also. It’s a win/win. So, you are travelling at least 44 miles round trip to save money on fuel plus the extra spent for BBQ? I don’t spend my money in Florida for fuel any longer. I purchase from Alabama. If I can save $1.00 including the travel, then I’m buying West of here. Bucee’s today is $2.39. Twenty-two miles from Interstate 10 and West 9 Mile Rd. Besides buying fuel, we buy BBQ Sliced Brisket Sandwiches that you won’t find anyone around here to make it better.